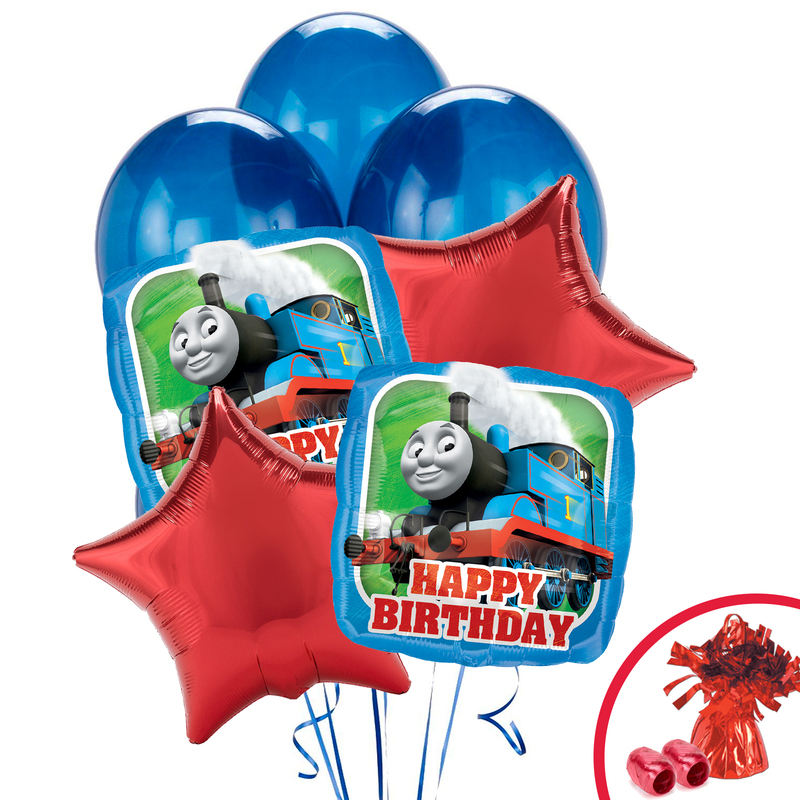 Birthday Balloon Bouquet includes (2)Thomas the Tank Happy Birthday Foil Balloons, (2) Red Star Foil Balloons, (6) Mid Blue with Trains Matte Latex Balloons, (2) Red Curling Ribbons, and (1) Red Balloon Weight. (Note: Balloons will ship flat.). 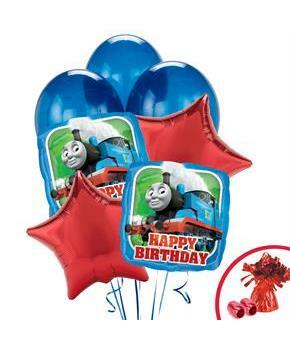 Disney Mickey Happy Birthday Foil Balloon 18"